One of the biggest problems facing today’s entrepreneurs is the lack of access to financing. In fact, 98% of the businesses that are able to secure an appointment with a venture capital firm fail to secure financing often as a result of a single element in their business plans. The Small Business Administration reports that, regardless of the level of legitimacy of the business’s need, banks in the United States are lending less often. In 2011, banks had over $607B worth of outstanding American business loans, all of which were for $1M or less. In comparison to the same period of time in 2008, that’s a reduction of about $100B. As discussed earlier in the week, crowdfunding, is the practice by which informed investors pool their money together into a single deal. For real estate investors, that would be to acquire property. In return, the investors earn a share of the profits once the deal is complete. Aside from the smaller risk, the “crowdfund” investor is able to benefit from having other informed investors involved in ensuring their deals’ success. It’s clear that the advancements in technology have revolutionized the ways in which we access and gather information. Researching an investment was once more of a cumbersome process that took not only time and money, but know-how and access to previously publicized resources. These days you can research everything from property profile data and lean information with nothing more than an address or parcel number. Once you’re invested, there is technology available that allows you to track and manage all the deals in your portfolio without missing a beat. Now, thanks to the JOBS Act that President Obama passed in spring of 2012, the general public is now allowed to obtain actual company equity in exchange for funding a company’s efforts. And the timing for such an act couldn’t be better. 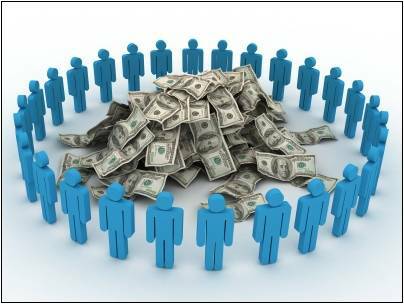 With all the communities that have been hit by the housing crisis and unemployment trends, crowdfunding has the potential to become one of the primary means for boosting the overall economy. Through these types of investment opportunities, we can see a new surge of investing for our nation’s small businesses. After all, in the past two decades, small businesses have been responsible for creating 65% of the new jobs in the country. As far as the public’s acceptance of the crowdfunding platform, statistics gathered by Massolution Research show that the funds collected on the current platforms have grown by a whopping 524% to fund over a million new projects with the $1.5B they raised.